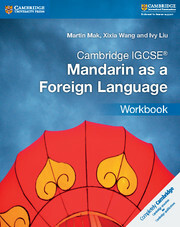 Written by practising teachers, this workbook helps students further develop the skills acquired through the course. 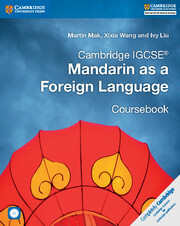 Practical exercises expand and enhance the materials in the coursebook, supporting students through the Cambridge IGCSE® Mandarin as a Foreign Language course. 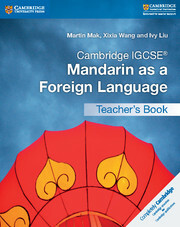 Offers additional support to students that want to further develop their language skills. Comes with downloadable vocabulary lists.